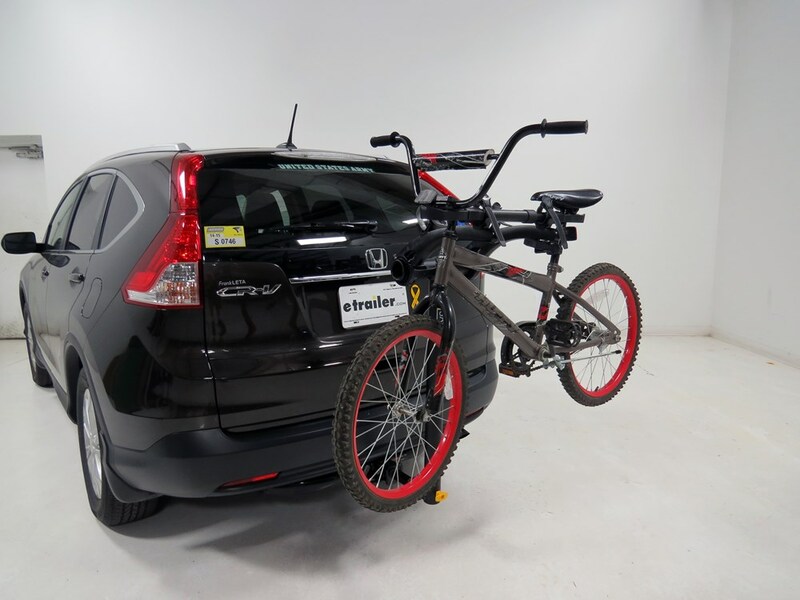 Bike frame adapter bar lets you carry a woman's, child's, or full-suspension bicycle on your hitch-, trunk-, or spare-tire-mounted bike rack. Telescoping bar adjusts from 19" to 25" long. Rubber collars won't scratch your bike. Call 800-298-8924 to order Saris accessories and parts part number SA3040 or order online at etrailer.com. Free expert support on all Saris products. Guaranteed Lowest Price and Fastest Shipping for Saris Bike Beam Bike Frame Adapter Bar for Women's and Alternative Frame Bikes. Accessories and Parts reviews from real customers. 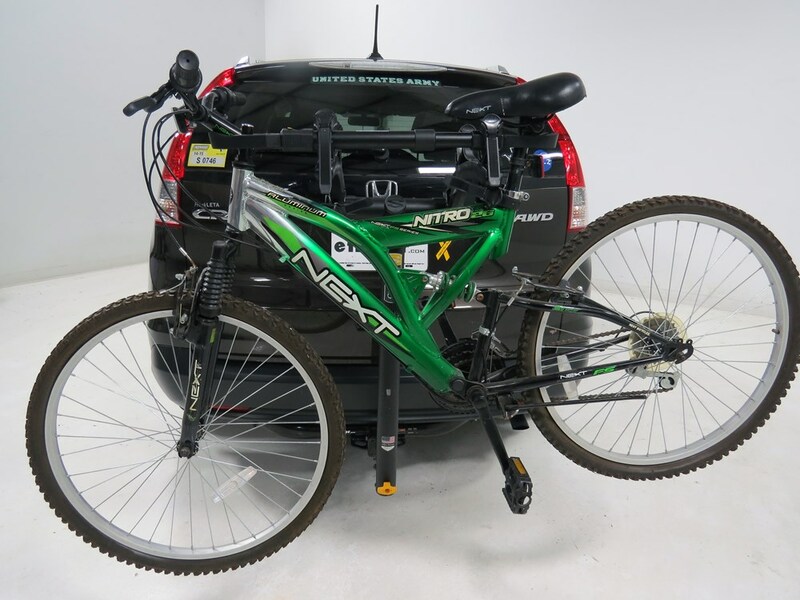 Bike frame adapter bar lets you carry a woman's, child's, or full-suspension bicycle on your hitch-, trunk-, or spare-tire-mounted bike rack. Telescoping bar adjusts from 19" to 25" long. Rubber collars won't scratch your bike. WARNING: This product can expose you to chemicals which are known to the State of California to cause cancer and/or birth defects or other reproductive harm. For more information, go to www.p65warnings.ca.gov. 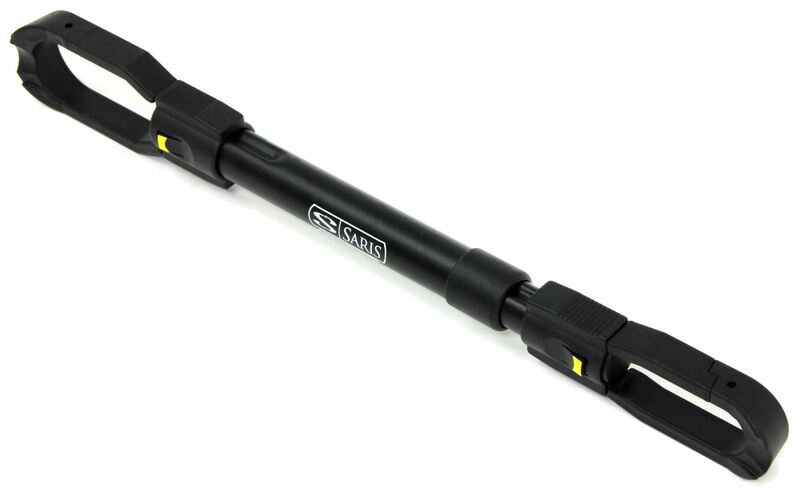 We're going to be taking a look at the Saris Bike Beam Bike Frame Adapter Bar, part number SA3040. 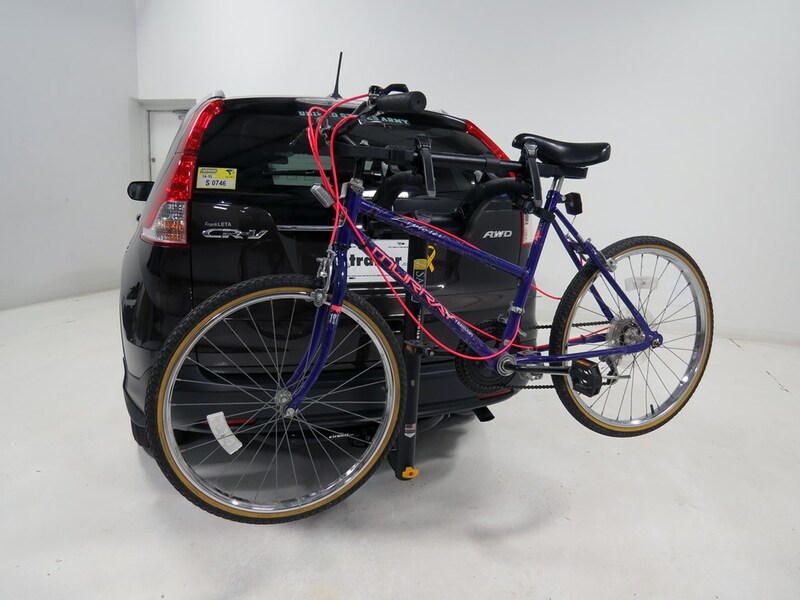 The bike beam makes it easy to adapt a woman's, a children's, or alternative frame style bikes, to fit your hanging style bike rack. The horizontal bar bridges the gap between the handlebar and the seat post, providing attachment points for your bike. The beam telescopes from nineteen to twenty-five inches, so it's going to fit a wide variety of bike sizes. It's constructed of a black, powder-coated steel, so it's going to be durable and rust resistant, and Saris stands behind the product and offers a limited lifetime warranty. Now, let me go over the features and go ahead and show you how to get it installed on your bike. The first thing we need to do is go ahead and press in on your yellow tab here. That's going to release the hook, or the loop. Do that on this end as well. We'll come down, and I'm going to hook it over my seat post first. Just like that. Close the loop up until it snaps into place. Then I can extend my adapter out to fit around my stem there. Then I can close that one up. Then we'll come on up, we're just going to set the bike adapter bar in the cradles. Then we can just tighten down our straps, just like we would on any other bike. All right, and then we've got it. That's going to complete our look at the Saris Bike Beam Frame Adapter Bar, part number SA3040. 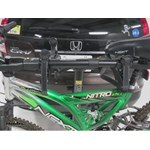 Order: RelevanceNewestRating - High to LowRating - Low to High Bike frame adapter bar lets you carry a woman's, child's, or full-suspension bicycle on your hitch-, trunk-, or spare-tire-mounted bike rack. Telescoping bar adjusts from 19" to 25" long. Rubber collars won't scratch your bike. You can use any bike adapter bar that works with your bike. 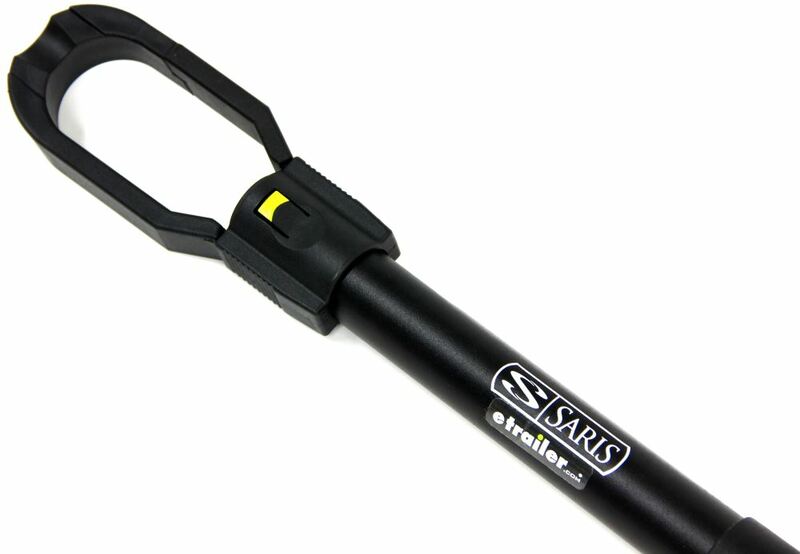 So you can use your Saris adapter, # SA3040, with the Thule Vertex # TH9028XT! Best Bike Rack for a BMW 3 Series? 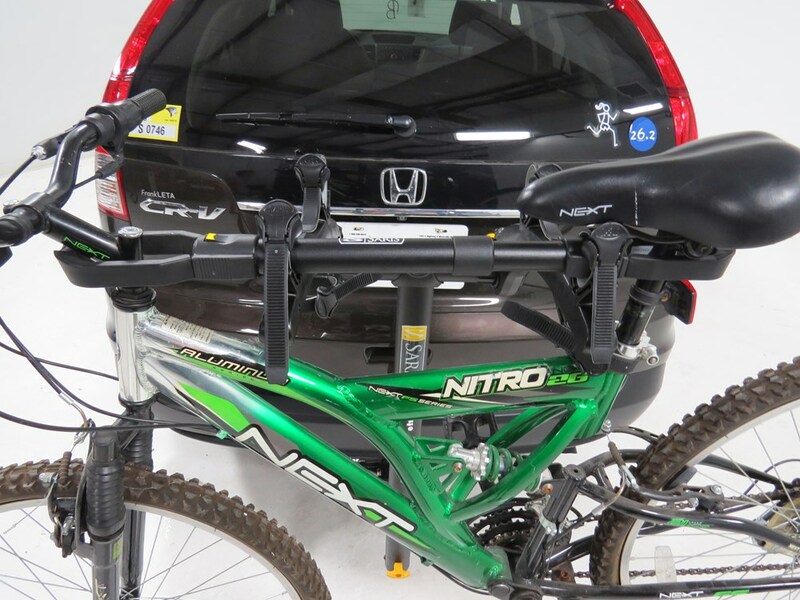 We do carry the Saris Bones 3 Bike Carrier - Adjustable Arms - Trunk Mount - Black # SA801BL which is extremely similar to the Saris SuperBones you were referring to and it is a confirmed fit for your 2007 Nissan Altima even if you have the rear spoiler. I also recommend the Saris Bike Beam Bike Frame Adapter Bar for Women's and Alternative Frame Bikes # SA3040 when you use this rack. 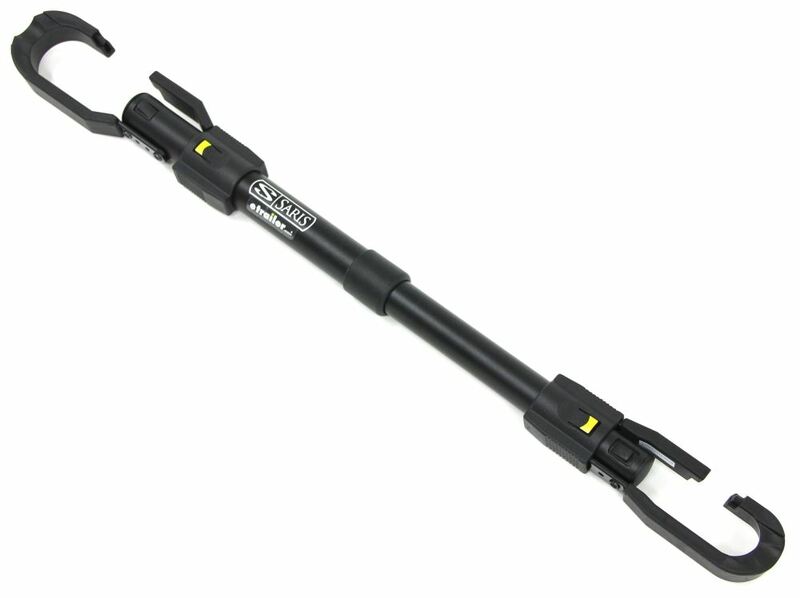 I also recommend the Saris Cable Lock - 8' Long # SA981 to secure your bikes to the rack and each other. The weight capacity for the # SA3040 is 35 lbs which is the standard weight capacity for these adapter bars. It's also the same capacity as nearly all hanging bike racks as well. If you needed a higher weight capacity you'd need a platform style bike rack like the # SA4025F which has a capacity of 60 lb per bike.